i) Sharif Mulay ‘Abdu’llah Alaoui, educ. Univ of Texas, USA (dpl. 1989). Presdt Mediholding S.A. since 1999, and Co-Founder Lone Star Energy the Moroccan Energy Fed. Presdt Royal Moroccan Equestrian Sports Fed (FRMSE) since 2012. Rcvd: GC of the Order of Civil Merit of Spain (16.9.2000). (1) Lalla Nezha Esfandiari. b. 1989. 2) H.M. Sidi Muhammad V, King of Morocco and Amir al-Mu’minin (s/o Lalla Ya’aqut) - see below. a) H.H. Princess Lalla Zubaida . m. and has issue. 4) H.R.H. Prince Mulay ‘Abdu’s-Salim bin Yusuf. b. 1914 (s/o Lalla Ya’aqut), educ. privately. Imprisoned by the French for nationalist activities in 1954. 1) H.R.H. Princess Lalla Zainab bint Yusuf (d/o Lalla Ya’aqut). m. H.H. Mulay Mustafa (d. at Meknes, December 2006, bur. there in the principal Kuba, Mulay Ismail Mausoleum), sometime Mazwar of the Meknes Sharifans, eldest son of H.H. 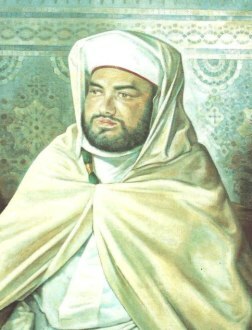 Mulay ‘Abdu’l-Rahman bin Muhammad Benzeidane, sometime Intendent-Gen of the Dar al-Makhzins and Mazwar of the Meknes Sharifans, by his wife, H.H. Lalla Malika. She d. at Meknes (bur. there in the principal Kuba, Mulay Ismail Mausoleum), having had issue, three sons - see above. a) H.E. Mulay Idris bin Hassan bin Idris. 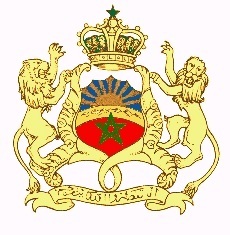 Entered the Moroccan Diplomatic Service and served as Counsellor at Madrid, and Algiers, Ambassador to Gabon and to Libya, Special Adviser to King Muhammad VI. Rcvd: GC of the Order of Civil Merit of Spain (16.9.2000), etc. ii) Abla Boufares, educ. Lycée Victor Hugo), Marrakesh. iii) Lalla Um Kalthum Boufares. b. 1987, educ. Lycée Victor Hugo), Marrakesh, Royal Coll, Rabat, and Ecole des Hautes Ã‰tudes Commerciales (HEC) (BA), Paris, France. Granted the personal title of Lalla on marriage 15th June 2014. m. at the Royal Palace, Rabat, 15th June 2014, Major-General H.R.H. Prince (Sahib Sumuw al-Maliki al-Amir) Mulay Rashid, GCVO (b. at the Dar al-Makhzin, Rabat, 20th June 1970), second son of H.M. Hassan II, King of Morocco, and Amir al-Mu’minin, by his second wife, Lalla Latifa (b. 1946), cousin of Lalla Fatima, and niece of Kaid Ould Hassan Amhourak - see below. 1927 - 1953 His Sharifian Majesty Sultan Sidi Muhammad V bin Yusuf, Sultan of Morocco, Sultan of Fez, Tafilalt, Marrakesh and Sus, Amir al-Mu’minin (first time) - see below. 1) H.H. Mulay Ahmad bin Muhammad Arafa. b. 1918, educ. privately. m. a daughter of H.H. Prince Mulay Hasan bin al-Mahdi, sometime Khalifa of Tetuan. 2) H.H. Mulay ‘Abdu’l-Hamid bin Muhammad Arafa. b. 1921, educ. privately. m. a daughter of H.H. 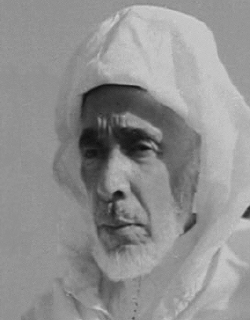 Prince Mulay Hasan bin al-Mahdi, sometime Khalifa of Tetuan. 1) H.H. Lalla Halima bint Muhammad Arafa. m. Mulay Muhammad [M’hammed] bin Ismail (b. at Meknes; d. there, 24th July 1995, bur. Mulay Ismail Mausoleum), son of Mulay Ismail bin Abbas. She d. at Meknes, 2002 (bur. there at Sharif Wafi Cemetery), having had issue, two daughters - see above.